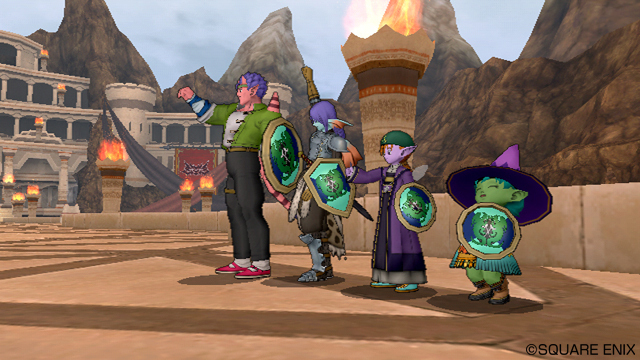 With the Dragon Quest X Wii beta in full swing Square Enix shared some details about the game at a press conference. They revealed that you will be able to register 100 friends in the game and that you will be able to keep track of your friends’ locations and servers. They also mentioned that the most used race in the beta so far is the male wedi, followed by male Ogre, male Pikuripo, female elf and female Wedi. Warrior is the most used job, followed by monk, thief, martial artist and mage. The Wii version of the game will be releasing in Japan this August. The release date of Dragon Quest X Wii U is still unconfirmed. This game looks like an interesting idea, but if its going to be on Wii as well it might not be able to showcase the full graphical capabilities of the Wii U, or the online capabilities because, the Wii U will have better online too. I might get this game to play with my friend (who I’m pretty sure won’t be upgrading to Wii U day one) on his Wii, I’ll see what he thinks. Oh, ok, it would have to run on the same engine though. is this gona come to usa?? ?